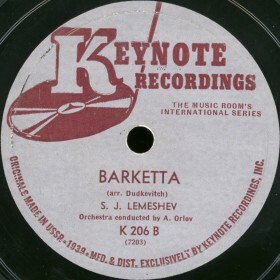 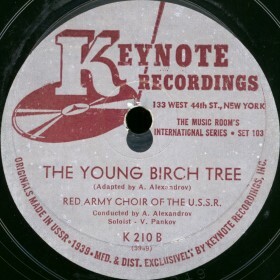 Keynote Records was founded in 1940 by Eric Bernay (nee Bernstein), a former publisher of the Marxist periodical New Masses and owner of “The Music Room”, a music store on 44th Street., NYC. Eric was born in Odessa, Russia in 1906 and died in New York in February 11, 1968 at the age of 62. 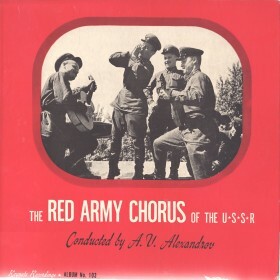 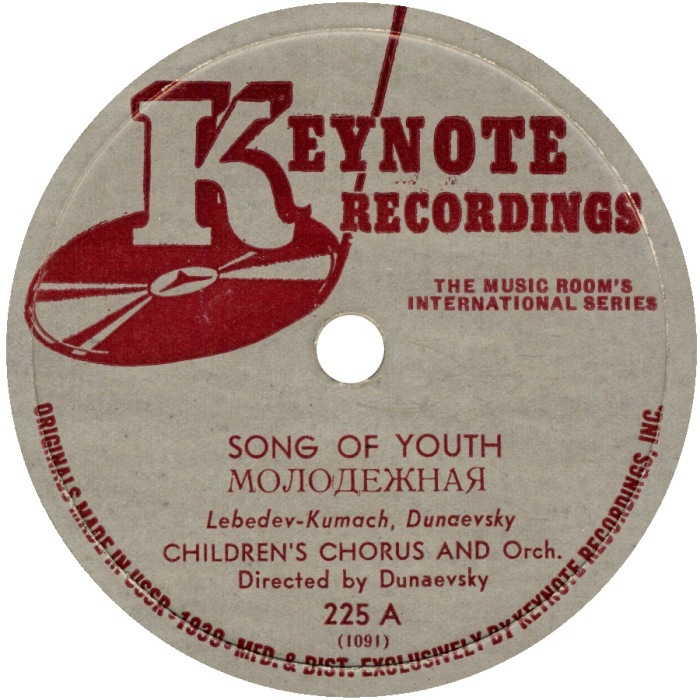 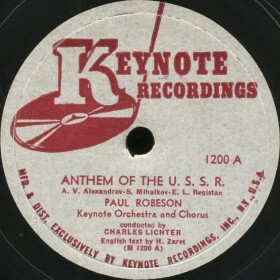 Keynote began a small left-wing folk and jazz label, releasing Marc Blitzstein’s No for an Answer, Paul Robeson, Pete Seeger’s Almanac Singers. In 1946 John Hammond took over as president and in 1948 in order to avoid bankruptcy the Keynote label was sold to Mercury. 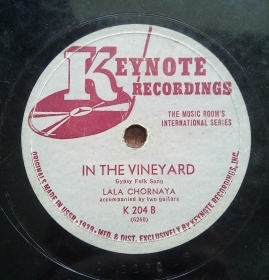 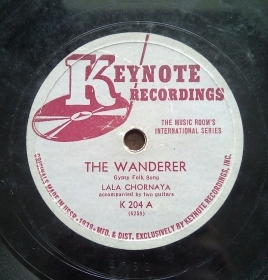 Since then, many of original Keynote recordings were re-issued in LP format under Mercury label and EmArcy label.